...all good stories are about a sword. battle and writing his name in the sagas. When war comes for real though, his sister is kidnapped, his family betrayed and his uncle's legendary sword stolen. It falls to Cerdic to avenge his families’ loss, rescue his sister and return home with the sword. 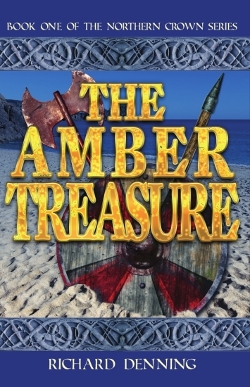 The Amber Treasure is historical fiction set in Dark Age Britain., 598 A.D.
Betrayal threatens the Kingdom of Northumbria. Think you know what makes a good story? Listen to me read the prologue and find out what one of my characters thinks. ….’Bring on the sequels!’ – Dr Robert Watt, University of Birmingham. The narrators voice fits with this story perfectly. The whole story is well paced and developed. 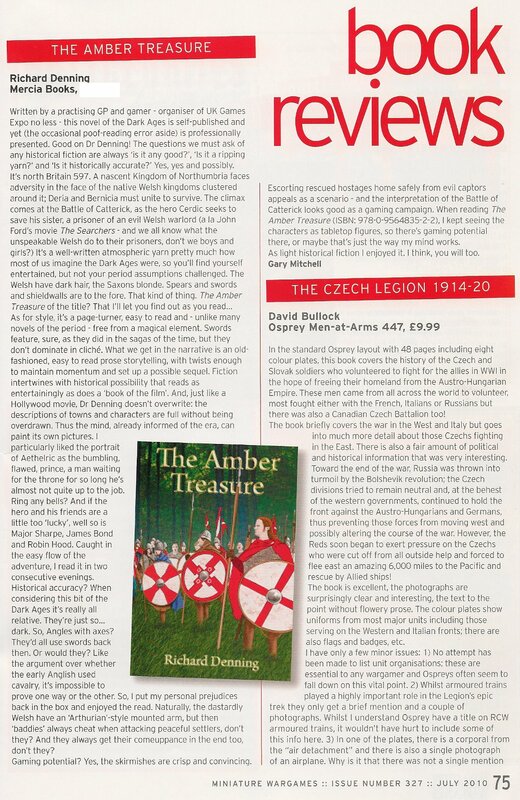 I’ve never been terribly interested in the war between the Saxons and the Welsh, but the story was engaging. This book is simply excellent. I’m not sure how accurate the depictions are of dark ages North Umbria, but you wouldn’t know it from the completely believable descriptions in the book. There is little poetry in the writing nor in the telling, but that perfectly fits the story, with it’s dirty people caught in the middle of a most nasty business. Can’t say enough in favor here. The whole package feels much like a Nathan Lowell presentation, or at least the Share books, with it’s first person narrator basically telling what happened. You feel like Cerdic is the guy sitting next to you at the bar spilling out this story, and what a story it is. I’ll be camping outside the doors of the Villa waiting for the sequel, which simply begs to be told. Listen and you will find out why.